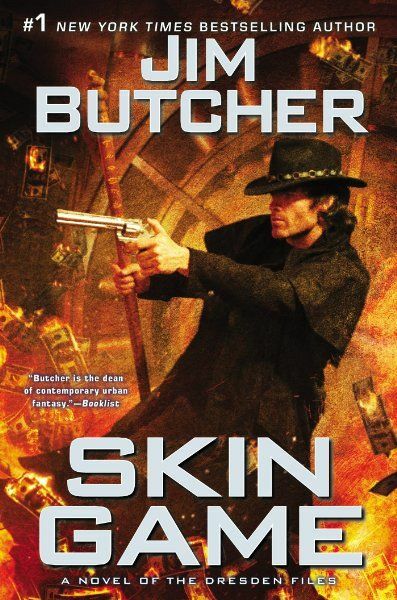 Skin Game, the latest entry in Jim Butcher’s The Dresden Files, is a caper novel. Harry Dresden, wizard, warden of the White Council, and now the Winter Knight, has spent the past few months since the events of the last book recuperating on the island of Demonreach. Or recuperating as much as he can given that his only company is a bunch of imprisoned evildoers, the guardian spirit of the island, and his increasingly painful migraines. Dresden gets a surprise visit from his new boss, Queen Mab. Mab is loaning out the services of her Winter Knight to Harry’s nemesis, Nicodemus Archeleone, head of the Knights of the Blackened Denarius. Nicodemus has a plan: he wants to break into the vault of Hades, Lord of the Underworld, and steal the Holy Grail. Bound by his oath to Mab, Dresden has no choice, but to sign on with a very dangerous team of bank robbers. His mission: to foil Nicodemus, fulfill his duties as Winter Knight, and stay alive. Just another day in the life of Harry Dresden. Skin Game brings back some old characters such as Anna Valmont (Summer Knight) and former Knight of the Cross, Michael Carpenter, as well as introducing some new ones such as shapeshifter, Goodman Grey. Another compelling read from an author who just keeps getting better as the series continues. 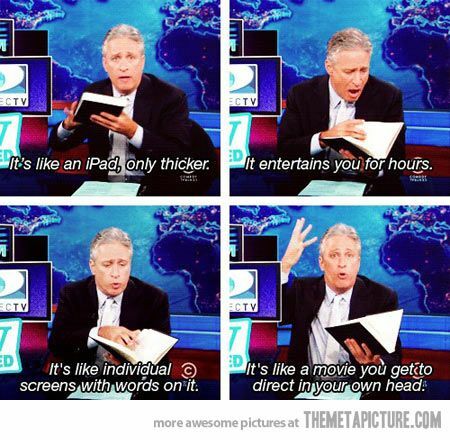 Amusing Picture Monday: the Library Edition. 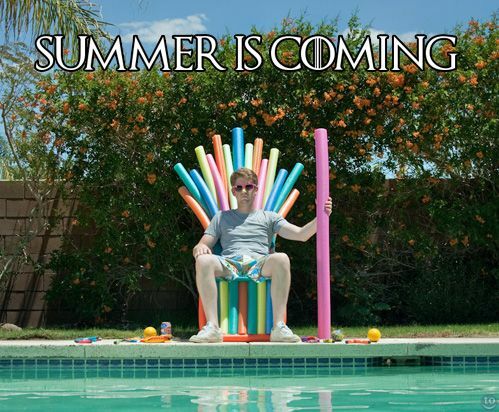 In the game of summer, you win or you get splashed. So what’s been keeping me away from my blog all this time? Well, mostly it’s been work, but occasionally it’s something fun like the Coptic Binding Workshop I took at the end of May. Here’s a photo of one of the two books (the first was a model) that I created during the workshop. 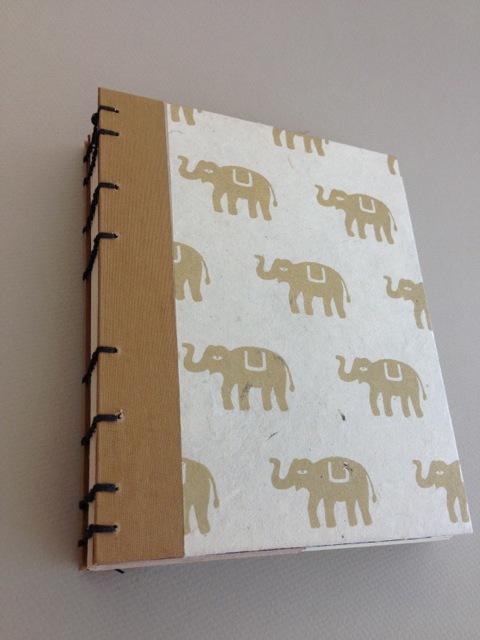 Surprisingly, I was the only one who glommed onto the elephant print cover paper. Coptic binding, for those not in the know, refers to a method of sewing manuscripts together. The binding forms decorate seams across the spine and allows enough movement so that the book can be opened easily without a lot of wear and tear on the spine.